Both of these great little finds are a really purse-friendly version of some of Topshop's best-selling products. 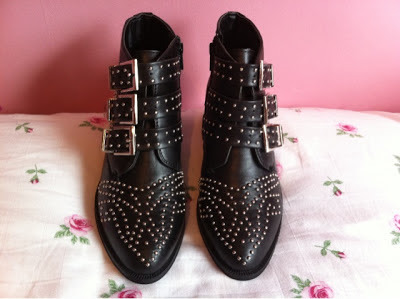 I have wanted a pair of the Alvin boots for ages, but have been umming and ahhing over the £90 price tag. Thanks to LLYMLRS's LookBook, I found these amazing little ankle boots for only £24.95 on eBay. They're not real leather, so they're not going to last as long as the real deal, but I think they're a great little pair of boots. 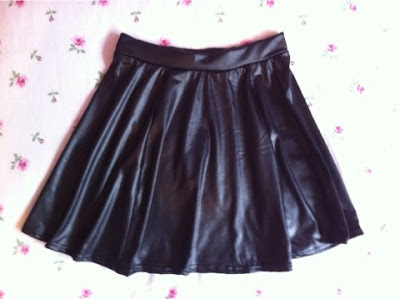 Another Topshop gem I've had my eye on, is the leather-look skater skirt, and not even this one in particular... I have seen real and faux-leather skater skirts dancing all around my uni campus, style blogs and the streets of Liverpool and I think they're so cool. I recently set out to buy one and found this really cheap version from Miss Guided for an amazing £9.99! 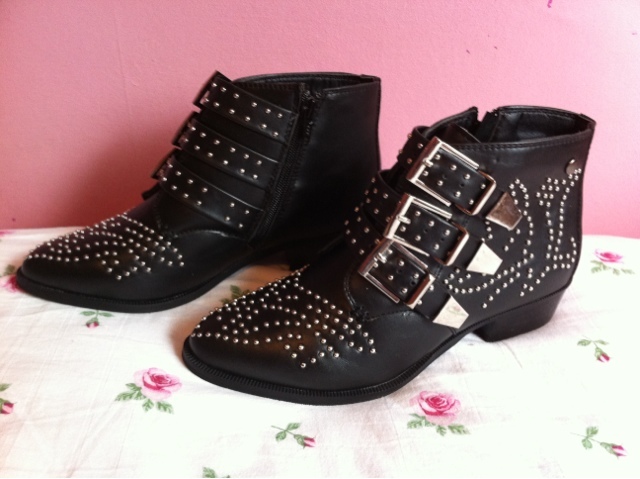 Again, the quality isn't as good as Topshop's; but for that cheap, I can't complain.